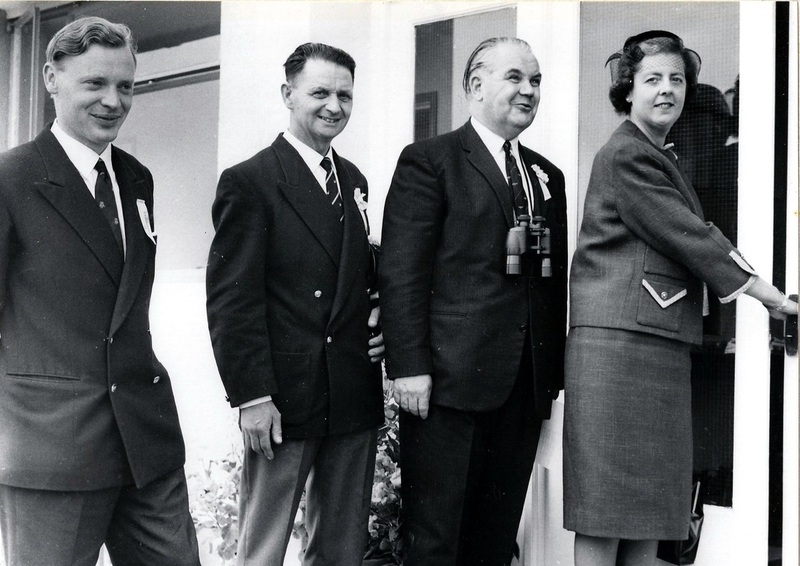 Newtownards Sailing Club was founded in 1964, following a public meeting in the Town Hall, chaired by Stanley Woods, JP and ex Mayor of Newtownards, who became the first Vice Commodore, with the late Lady Mairi Bury as Commodore. The late Angus Jardine and the late Dr David Park were Rear Commodore and Hon Secretary respectively. Life membership in those days cost a mere £50 - a really good investment! The eagle reproduced below, an interpretation of which appears on the club burgee, is that of the de Courcy family which invaded Ulster in the twelfth century. John de Courcy built the castle around which Newtownards developed. The eagle appears within the crest of the town of Newtownards. 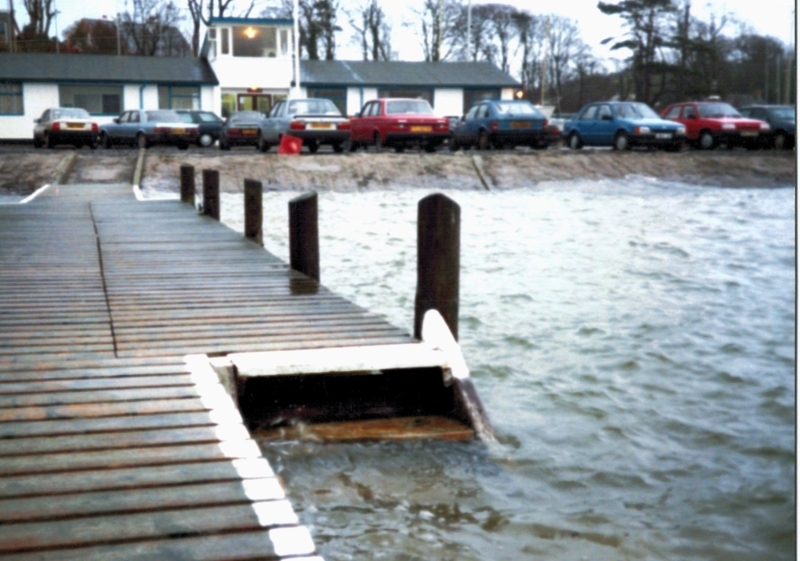 A slipway was laid and the clubhouse officially opened on 15th August 1964. The club started with a collection of dinghies racing on handicap, mainly Scorpions, Enterprises, Mirrors and Cadets. Regattas in those days were well attended, with on one occasion nearly 200 entrants - River class, Glen class, Flying 15s, Lightnings, Dragons - as well as the dinghies. Over the years the mix of dinghies and cruisers has varied Today the club has one of the largest and most active GP14 fleets in Ireland, lots of windsurfers, and a dozen or so cruisers. In 2001 the changing room facilities were modernised with the aid of a helpful grant from the Ards BC. In 2006 the prefab function room was demolished and a fine new two-storey function room and bar with kitchen and and office was built, again with the assistance of a useful grant from the Ards BC. This was officially opened on 7th October 2006 by the Mayor of Ards, Cllr Angus Carson, attended by many guests. In 2016, with the assistance of a grant from the new Ards and North Down District Council, solar panels were fitted to the roof of the building. These primarily provide hot water for the showers but any excess power is sold to the grid.